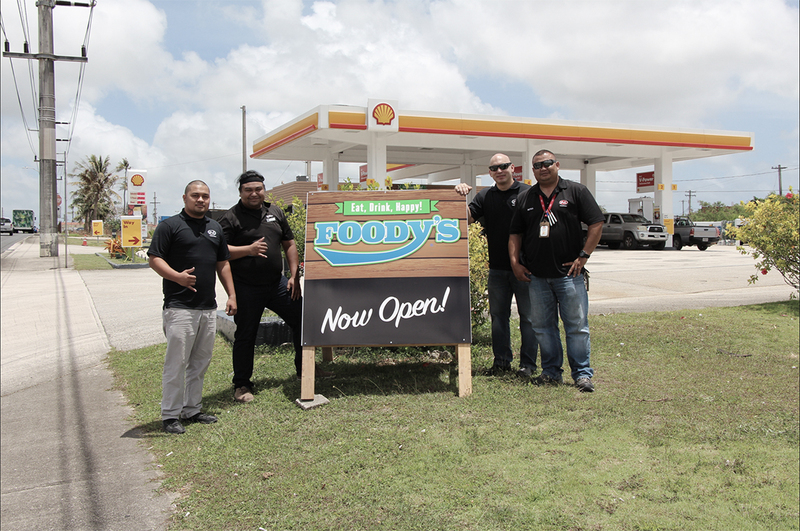 Foody’s in Upper Tumon and Mangilao opens — Citadel Pacific Ltd.
IP&E recently opened two additional Foody’s stores at Shell stations in Upper Tumon and Mangilao. The expansion across the islands of Guam marks an important milestone for its growing network. Upper Tumon is in close proximity to all the hotels in Tumon and Guam’s Harmon Industrial Park. John F. Kennedy High School is right across the street. The Foody’s in Mangilao will impact the students and residents that are in this central inland part of the island. Mangilao has a dense residential population with nearby schools including the Guam Community College and the University of Guam. Residents living, working and going to school in the area will have easier access to experiencing the distinct quality and convenience of this signature retail store brand, Foody’s, that has been so well received in the other six locations. “With six prior stores under our belt, we’re driven by our guests’ expectations for ease and personalization in their shopping experience. Designing Foody’s from the ground up has enabled us to customize our store layouts and merchandise assortment,” said IP&E Director of Retail Sales, Operations and Marketing Bill Ada. Foody’s patrons can look forward to the best-selling merchandise and services available at the existing locations. Foody’s always has a variety of delicious, high quality food items delivered fresh daily from the best local bakeries and food vendors. Regular favorites like fresh coffee and cappuccinos, gourmet Eisenberg hotdogs, F’real Shakes and Smoothies, and The Beer Cave will also be offered at the newly put up stores.